New York, 18 March 2017 (SPS) – President of Republic, Secretary-General of the Polisario Front, Brahim Ghali, met Saturday in New York with United Nations Secretary-General, Antonio Guterres. After the meeting of the two sides in private, the talks expanded to include the Saharawi and UN General Secretariat delegations, where they discussed the overall developments related to the efforts of the United Nations to resolve the Saharawi-Moroccan conflict, and the means to speed-up the UN and AU settlement plan to organize a referendum of self-determination of the Saharawi people. President Gali called on the UN to "assume its responsibilities in ensuring the respect for international legality and the immediate halt to Morocco's violations of international law and international humanitarian law." 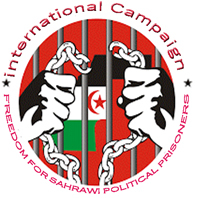 The Sahrawi president also called for the release of all Sahrawi prisoners and put an end to the unfair trials of Gdeim Izik group of prisoners. The Representative of the Polisario Front to the United Nations, Bukhari Ahmed, considered that the meeting was frank and constructive and allowed to examine the current developments and prospects of joint future work to complete the decolonization of Western Sahara, the last colony in Africa. The meeting was attended on the Sahrawi side by Coordinator with MINURSO, Emhamed Khaddad, Representative of the Polisario Front to the United Nations, Bukhari Ahmed, Representative of the Polisario Front in Washington, Muloud Saeed, Counselor to the Presidency Abdati Breika.